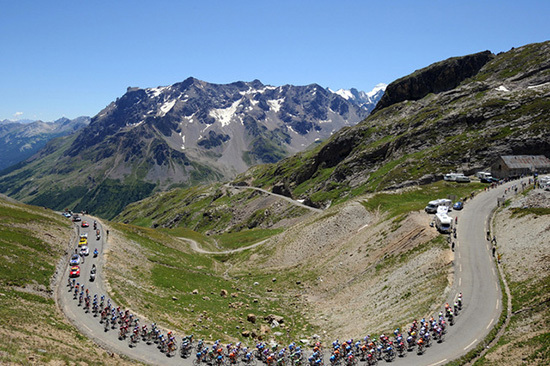 In 2015 the Tour de France will be returning to Alpe D’Huez again and you could be there to witness all the action on the Tour de France Cycling Experience! Stay in a luxury chalet in Meribel giving you the chance to watch the worlds best cyclists take on at least 2 stages of the 2015 Tour de France. You will spend one night at the legendary Alpe D’Huez giving you the chance to experience the pre-stage party and riding through the crowds gathering for the stage. Cycling through ‘Dutch Corner’ on the day of the stage cannot be missed! This is as close to being in the actual Tour de France as most riders will get. After punching your fists in the air after riding round the bends you can settle down to watch the stage up close at a private corner. 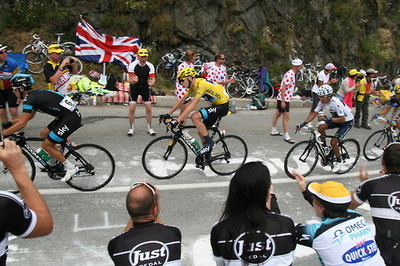 An unforgettable experience and without doubt the best way to watch the Tour de France. You will stay in a luxury alpine chalet in a traditional Savoyarde property that was awarded the Méribel Tourist Office’s ‘5* Label Meribel’ award. 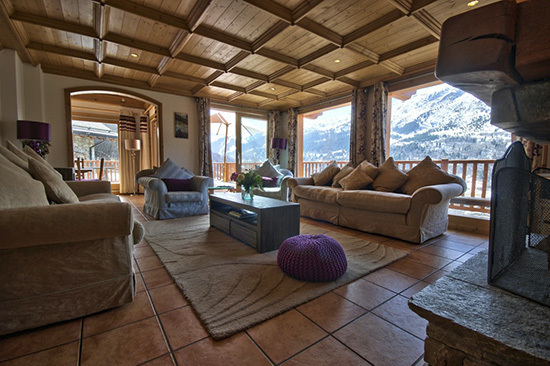 It’s perfectly close to the centre of Méribel-Village with an impressive south-facing sitting room complete with wooden carved ceiling, huge bay windows offering stunning panoramic views and an open log fireplace. Each of the chalets five en-suite bedrooms are individually furnished in delightful fabrics and furniture and four have balconies overlooking the mountains. All but one of the bedrooms can be made into a double or twin. The chalet features a Jacuzzi, outdoor table and chairs, sun-loungers, outdoor heaters, table tennis, air hockey, table football, darts board, exterior music system and a fully stocked bar to delve into after a hard days ride! All of this combined with exceptional chefs Lee & Justyna, makes for an fantastic stay in the French Alps. Our partners in the Alps are pleased to be official tour providers for the 2015 Etape du Tour. A world famous closed road cyclo sportive that follows a different mountain stage of the Tour de France each year one week ahead of the pro-peloton. We are able to give you the unique opportunity to cycle this iconic event and also watch the pro’s on the same course one week later. If signing up for the Tour de France cycling week you can either select ‘entry only’ or join us for 3 more days at our Etape du Tour weekender saving £250 on the combined cost. 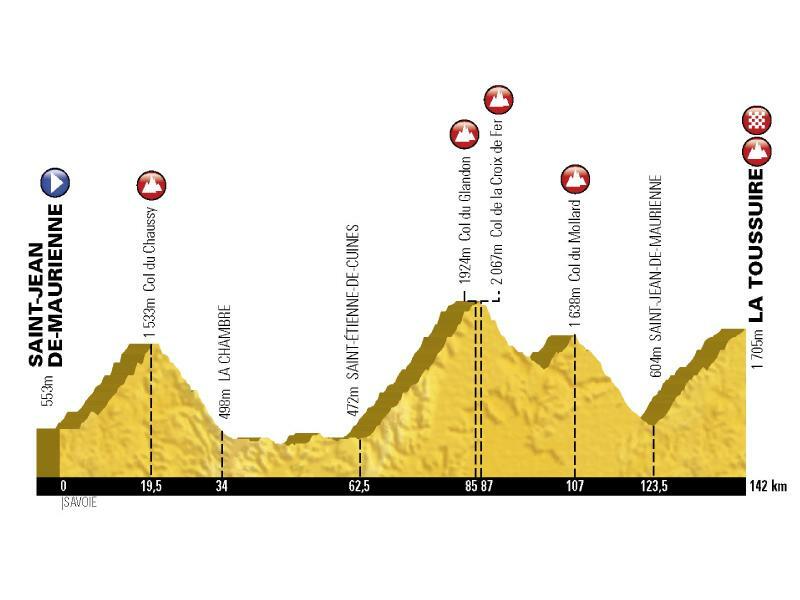 The Etape du Tour 2015 will take place in the Alps on Sunday 19th July 2015. Replicating stage 19 of the 2015 Tour de France from St Jean de Maurienne to La Toussuire which we attend on the 24th of July. It is a classic Alpine stage with as main feature the climbs of the Col du Chaussy, Col du Mollard and Croix de Fer. Like last year there will be a sting in the tail with the ascent of La Toussuire. At 138km it is an attractive proposition for both the experienced cyclo sportive rider and the Etape du Tour novice. The Giro d'Italia more your thing? Check out our Lake Como Cycling Experience!